sumHR is a modern, delightful, and extremely easy to use Human Resource Management Software that helps startups and SMEs streamline their HR & payroll processes. The software aims at automating the existing excel based manual process of managing employee payroll and undertake the required activities. The software brings together the various pieces of HRM together like attendance & leave management, payroll processing, employee data and profile management, etc. sumHR is a cloud based new-age product, designed and developed for growing companies. Our product now streamlines HR management for 20000+ employees across 250+ organizations in India. The company’s mission is to change the way companies look at Human Resource Management and want to make the lives of HR professionals easier and happier by automating processes and eliminating the error-prone, highly unreliable spreadsheets. Bid adieu to getting leave applications approved and tracked on emails. With sumHR’s Leave Management System you get the flexibility to create and manage leave policies, track employee leaves, decide application workflows, and more. Now managing your payroll data will be easier than ever before. You can upload data at one go as well as export them in organized spreadsheets with our free online payroll management software. Employee database management on sumHR is easier than working on your friends list on a social network. Over time when your employee data accumulates into heavy-weight text, images and files, you won’t have to fret over searching for anything. Just a click-type-n-find it! sumHR’s new HR Analytics module provides you more comprehensive and analytical data - helping HR teams and management make important decisions based on real insights. This new feature offers an HR dashboard for employees, managers and administrators. Employees can view their stats, analytics and detailed insights based on their role in the organization with sumHR's HR Analytics software. sumHR’s reimbursement module will enable you to handle all reimbursement requests in one spot without any confusion. Our reimbursement software is easy to use, uncluttered for better user experience, and the perfect solution to save your time from messy processes. A small demo of the extensive HRMS capabilities of sumHR. 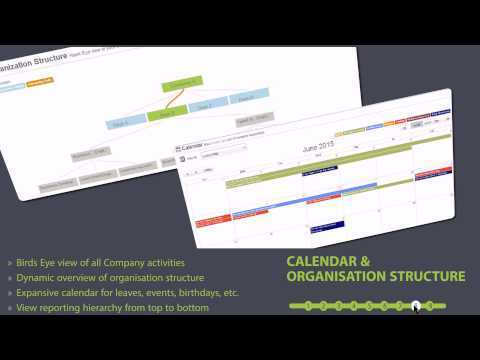 The video showcases the dashboard, the leave management system, and the employee profiles. Want to try sumHR? Q. How does the 7-day free trial work? Once you signup, you will have access to a full-featured sumHR account for 7 days. We do not require any payment or credit card info from you for this trial. In fact, from the moment you signup for the HR software, we will be in constant touch with you to provide support and help you take maximum advantage of our features. Q. Is there any catch in the 7-day free trial? Q. What happens when my free trial ends? After your trial expires you’ll be able to login to your account but you will not be able to use any features of the HR software. Don't worry, if you've added any data during your trial period, it will remain intact and safe. In order to continue using sumHR after your trial, you will either have to upgrade to a paid plan or request additional trial time. Q. Any long-term contracts or lock-in period? No. sumHR is available to an organization through a subscription model. This subscription is renewed every 12 months. We also offer longer subscriptions at discounted prices. You can upgrade, downgrade, or cancel your subscription at any time. Q. Any cancellation fee if we stop using sumHR? No. There is no such thing as a cancellation fee if you decide to stop using your sumHR account. You can simply stop using the account while we wait for your chosen subscription period to end, before deactivating your account. In case you decide to come back, you can re-activate your subscription.